he cannot be sent to the Dark Area. A clawed bird with a rough disposition that soars across the earth with his strong walking ability! 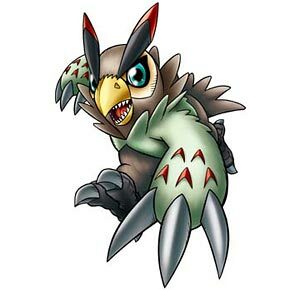 The attack power of Wind Guardians and Digimon with the power of "gale" increases by 400. Attacks that would cause the battle to end in a draw have no effect.